Tofu is a bean curd that is made by coagulating soy milk (I know, sounds kind of gross, but it is interesting making tofu from scratch). It is said to have originated about 2,000 years ago in China, a huge component in East Asian cuisine, and is popular in vegetarian meals. 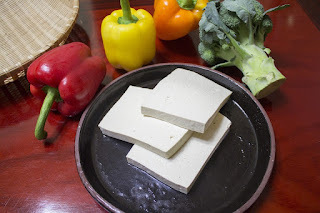 There are three different "kinds" of tofu. You have soft (silken), firm, and then extra firm. Soft Tofu has a high amount of water texture, and has more of a custard-like texture. 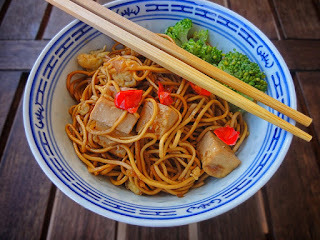 As you guys know from my last few recipes, silken tofu is popular in baking. The reason behind that is because it is creamier than the other kinds, therefore, it is easier to break down, or puree. In the baking world, tofu is used as an egg substitute, thus making it a good binder for dishes (I.e. : Pies, quiches, etc.). Now, it won't fluff up like it would with eggs, but it does give the product an "eggy" texture. It can also be used for smoothies, puddings, dressing, and dips. Firm Tofu will NOT break down in the way soft tofu will. It would be too chunky if you even attempted to blend or puree it. However, it does absorb flavor very well. This type of tofu can be good for stir fry. I like to let the tofu sit in teriyaki or soy sauce for about an hour or so to really make it flavorful. It can crumble pretty well so some like to use it as a substitute for ricotta cheese. Extra Firm Tofu is exactly as it sounds. It is really firm, so it will not blend, and it will not crumble well. Extra Firm Tofu will hold its shape beautifully. It can be sliced, and cubed well. This can be used in all kinds of frying (Pan, stir, and deep), can be grilled and baked as well. I use this when I do my "Not chicken stir fry", or tofu kebabs, which is just grilled tofu on skewers, and then a peanut sauce to pair it with. Now, with that being said, just because it can hold its shape better does not mean that it will take well to absorbing flavor. Ergo, why I would pair a sauce to go with it instead of marinating it. 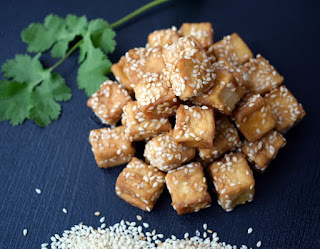 The nutritional highlights of tofu is that it is believed to help lower cholesterol, it is a GREAT source of protein, it does contain all of the essential amino acids, great source of calcium and iron, which is great for someone who is anemic like myself. Tofu is also an excellent source of most micro-nutrients. 1 1 cup of FIRM tofu has a little over 50% of calcium, 21 grams of protein, 10 grams of fat, and less than 5 grams of fat. 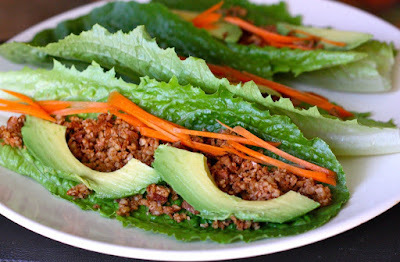 I love to cook and bake with tofu, but everyone does have a different opinion on the topic. Let us discuss!! Talk about your experiences with tofu, and what you think of it. I would love to hear what you guys have to say. Thanks again for reading, and I hope everybody has a Happy Halloween!!! !